NAILS has been a long-time fan of toenail art. Every July issue we strive to focus on feet. That’s why this week we are throwing it back to July 2012 when The FingerNailFixer, Holly Schippers, designed this seasonal cover look. Get the steps to making these cute butterfly toes here. Need more inspiration? How about these blingy toenail covers from Elsbeth Schuetz and Pattie Yankee in 2010. Now it’s your turn. 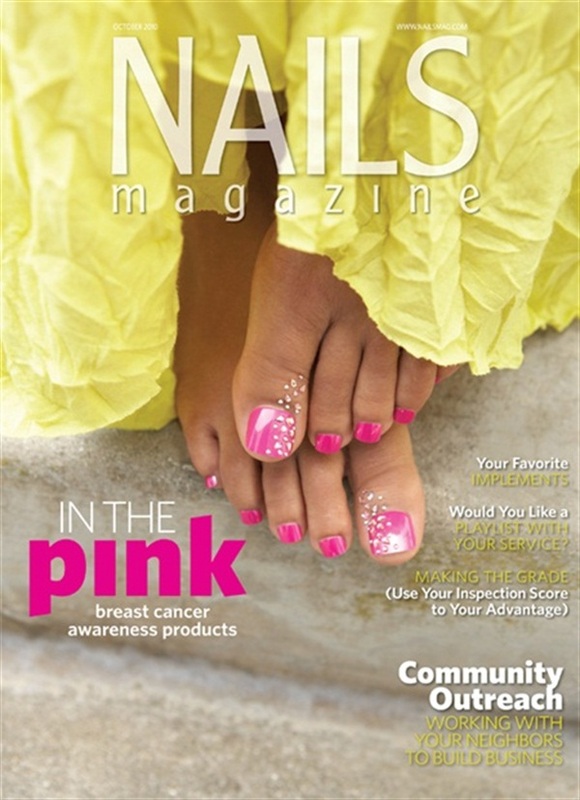 We want to show off your summer toenail designs in the July 2015 issue! Want to be included? Email [email protected] to get the details. Click here to get an idea of the type of story we are looking for.